Manchester United have been on the hunt for a new centre-back all summer and we are now on the verge of signing one. 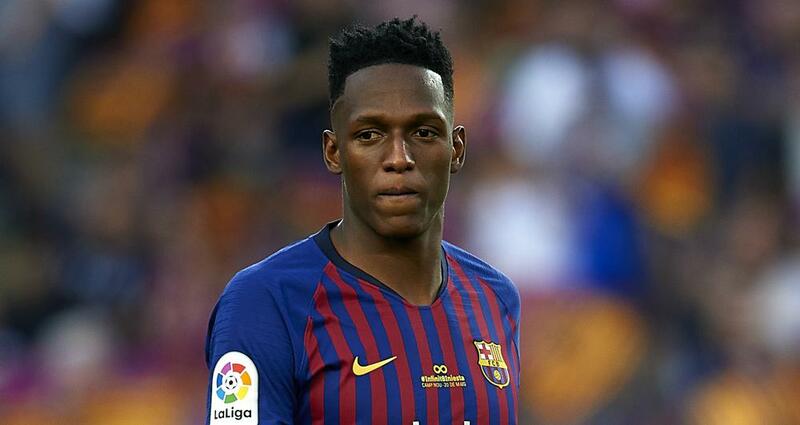 After being priced out by Tottenham Hotspur for Toby Alderweireld and Leicester City for Harry Maguire, we could be about to close in on a bargain in comparison as Barcelona defender Yerry Mina has agreed personal terms with us. As part a report in Mundo Deportivo, we have agreed terms with the player after 10 days of negotiations. However, we still need to agree a price with the La Liga champions. The price could be inflated by strong interest from Everton and Lille, but there’s no doubt that the 23-year-old centre-back would rather join Manchester United. Barcelona want €40 million (£35.6m) which is less than half of what Spurs wanted for 29-year-old Alderweireld, and not much more than half of what Leicester wanted for Maguire. The Catalan club did only snap up the Colombian international for €11.8 million (£10.5m) back in January though. Barcelona also want to insert a buy-back clause in the player’s contract, something which could agitate Jose Mourinho. Mina’s price has been inflated by the current market, our desperate search for a centre-back and that he scored three goals from three shots in three matches at the World Cup earlier this summer. The 6’4″ defender was also a colossus at the back, helping Colombia reach the second round where they were eliminated on penalties to England. It certainly looks as though we’re close to completing the transfer of the centre-back and with the summer transfer window shutting on Thursday 9 August, it looks as though the deal will be completed in less than a week if we don’t hit any stumbling blocks between now and then.